While there are many people who feel any drug use should be illegal, many others refrained simply because it was at the time. Since many states now allow people to smoke marijuana recreationally, there’s no reason to avoid it. However, if you’ve never tried pot then you may be worried about what it will be like. You’ve no doubt heard a number of stories, all designed to scare people. 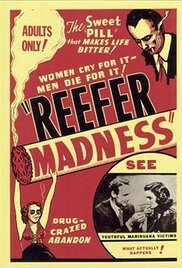 The “educational” video called “Reefer Madness” may be considered a comedy today, there are many untrue stories that people take as gospel. So what’s true? What’s false? In short, what does it feel like when you are high? That can depend on a few different things. There are two major ways to use marijuana. Either you smoke it like tobacco or you turn it into an edible. 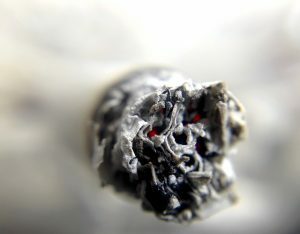 Smoking is by far the most common. Whether it’s wrapped in cigarette paper as a joint or packed into a pipe, it works the same way. You light the leaves on fire and then inhale the smoke. If you’re not used to inhaling smoke, then you will cough. If the pipe isn’t clean or the cigarette paper is cheap, it will also taste like tar. 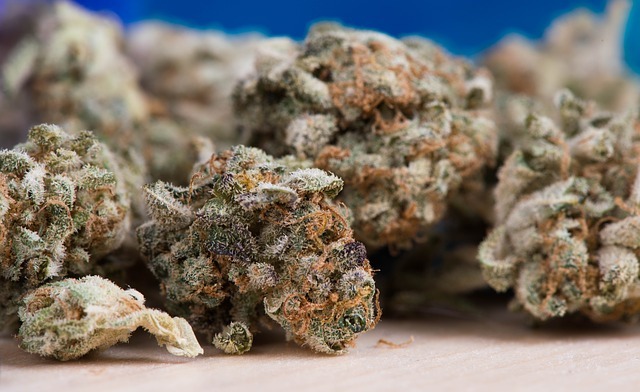 Like many things meant for consumption, marijuana comes in different qualities. Low-quality weed tends to have harsh smoke and low potency, mids (or mid-grade) is smoother and more potent, and dro (hydroponic) is generally the most potent. The first time you smoke you may not feel anything. This doesn’t mean you’re sober. You will still have lowered functioning abilities, but with no previous experience, it will be difficult to tell when things are working. You may also feel tired, either as if you need sleep or simply from your muscles relaxing. There is a sense of euphoria. You may be a bit scatter brained, but you’ll still be collected enough to have a conversation. At worst it will be similar to painkillers in terms of mental abilities. Things will seem more amusing, and eventually, you will drift off to sleep or the high will wear off. Edibles, such as chocolates or baked goods, work in the same way as normal pharmaceuticals. The THC slowly enters your system as you digest the food. This means the high won’t happen immediately. Instead, you’ll start noticing the normal high feelings starting after 15 or 20 minutes. Because of this, it’s important to start small. It’s impossible to know how high you’ll get from an edible until you’ve tried it. You can always stop smoking, but you can’t un-eat a brownie. Some people get paranoid or nauseous from marijuana. This is another reason to start small. If you begin to notice a building anxiety or an upset stomach, stop immediately. Sit somewhere calm and quiet, as you normally would when you’re stressed or not feeling well. The THC should cycle out of your system within an hour to a few hours, depending on factors such as potency and your own body’s tolerance, but it will cycle out. It’s nearly impossible to overdose on marijuana, so any symptoms will pass. That said, you can hit a state similar to alcohol poisoning. Rather than throwing up, people tend to simply pass out and be mentally off-balance for a while. If you’re concerned then go to a doctor, but in general, you should only need to sleep it off for a while. Being high can be great. But if you’re going to use marijuana then it’s important to use it responsibly and make sure you take care of yourself. There are few substances anywhere that have as many nicknames as marijuana. Some funny, some meant as code or slang, some of these nicknames have a very clear history while there are others where their origin seems much more convoluted or confusing. In some ways, it seems like the reason for so many different nicknames goes hand in hand with the idea that, legal or not, gray area or not, marijuana has always been a strong part of culture and has had plenty of different guises so it could be discussed in the open. One of the main reasons for nicknames is so that people would not be convicted of marijuana drug crimes. There are some nicknames that are so common that they are often seen as more as synonyms than actual nicknames. Even if you’ve never come close to smoking, you have almost certainly heard names like Mary Jane, weed, or grass. They are simple and basic names but they are nicknames that have all but certainly become permanent slang for marijuana. There are many other slang terms that are still used and widely used but have also aged over time. While they’re not quite the level of the classic “everyone knows and sometimes uses these nicknames” like in the section above. Some of these were huge from a very specific time period and never died off, some are attached to a cultural movement (unsurprisingly, many nicknames for weed came from Jazz, Reggae music, and other musical ages), and others, who knows? Some good weed nicknames just don’t want to die. A few examples of this would be Ganja, herb, doobie (Doobie Brothers certainly have helped that one stay relevant), and reefer (the re-resurgence of “Reefer Madness” helped this one re-boot, as well). These are names that most people will recognize, and all of them indicate a certain type of cultural reference which shows just how widespread the creative influence of marijuana has been. from a very particular time and can be a bit dated. Each generation is also going to come up with its own slang for marijuana and just as many of the others in this article have been tied to music like rock n’ roll (doobie), reggae (Ganja), or jazz (reefer), rap music and the various sub-genres have had a major influence on rolling out newer slang for pot. Are They Really Going Green? There are many different nicknames for pot that are all about green veggies or jokes off having a “garden.” Green, oregano, cabbage, asparagus, and broccoli are all nicknames that have been used to refer to marijuana and they all follow a really obvious pattern here. It’s green, it’s from a garden, so what’s not to like about that connection? There’s no doubt that slang like this in some way will always be in vogue. 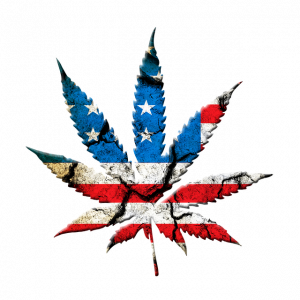 In contemporary society, many of us within the United States are aware of the legal challenges that cannabis (marijuana, pot, weed, etc.) faces in its path toward becoming marketable to the general public. 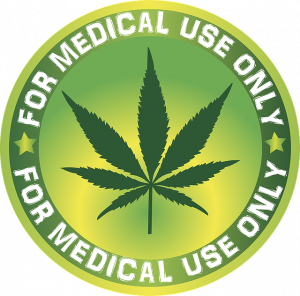 However, while the general public seems to have focused on taking varying stances across the spectrum regarding the use of cannabis, either functionally or recreationally, there are those the world over who, for a great array of reasons – some even quite familiar – formulate their opinions of cannabis and its use in society. Like many who take up the mantle either for or against the use of cannabis in any capacity, religions around the world either perpetuate its use openly, in limited areas or not at all. Some religions seem more secure in tolerating its use while others strictly forbid its use altogether due to its generally hallucinogenic properties. 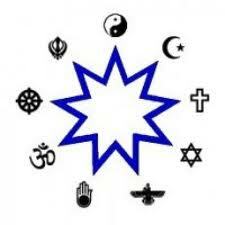 There are some religions, however, that actively prescribe marijuana for its medicinal uses as well as its properties as they pertain to religious and spiritual practices, such as Buddhism, which makes use of cannabis (as well as other plants) in the Mahakala Tantra. Although conflicting accounts exist, Hinduism claims that cannabis is a generally sacred plant, one that either was created by Shiva or sprang from the earth when a drop of “Amrita” (elixir of life) fell to the ground. This high regard of cannabis encourages many Hindus to consume cannabis during various festivals, even despite the fact that cannabis is a generally forbidden substance in Nepal where many Hindus reside. Rastafari practitioners regularly implement cannabis, claiming it is the Tree of Life to which the Bible refers. 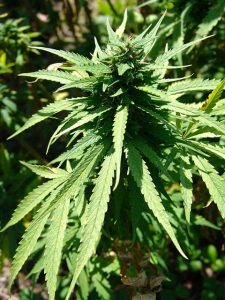 Although it is not necessary to use cannabis as a Rastafari, many of its practices include cannabis at the fundamental level, including consumption for the sake of cosmic consciousness and to “burn the corruption out of the human heart.” Rastafari even encourages members to rub the ashes from smoked cannabis into the skin. 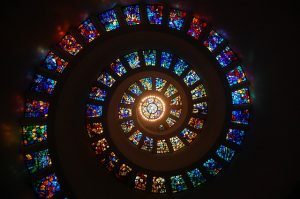 So, while the reasoning behind the use or misuse of cannabis may be wide ranging among various religions of the world, the general spectrum of opinion in itself seems no less polarized. What’s The Difference Between Hashish And Marijuana? Ever wondered what the difference is between Marijuana and Hashish, also commonly referred to as Hash? There are actually 3 main differences. Firstly, marijuana is commonly produced from the Hemp plant while Hashish is produced from the Cannabis plants. While these are different species of the same plant, Cannabis has a much higher concentration of THC. THC or Tetrahydrocannbinol, is the chemical contained in both the Hemp and Cannabis plants that is responsible for the psychoactive effects. In other words, it’s the bit that makes you feel high when smoking or consuming the substance. It mainly works on the brain to release greater amounts of dopamine and other chemicals to achieve the feelings of happiness, contentment, relaxation and euphoria related to these drugs. It also works on the endocannabinoid system in the human body by combining with the receptors to create a great variety of different benefits, most significantly, controlling emotions, slowing reaction time and alleviating pain. It is important to understand that cannabidiols similar to THC and CBD found in the Cannabis and Hemp plant are naturally produced in the human body in small quantities to fulfill essential functions. The amount of THC contained in these plants overwhelm the endocannabinoid system which results in the feeling of being “high”. The second major difference between Hashish and Marijuana is in the part of the plant from which it is produced. Hashish only uses the female flower which is considered to have the highest concentration of THC. On the other hand, Marijuana uses both male and female flowers, leaves and stems from the Hemp plant. While all parts of the Hemp plant do contain THC, it is in a much lower concentration than that which is contained in the female flower alone. The flowers are also commonly referred to as heads. The female flower will produce seeds if pollination from a male flower occurs. While the seeds can be removed, it is ideal in the production of hashish for no seeds to be present. In some cases, a couple of seeds may appear in a female head even if pollination has not occurred. The third main difference between Marijuana and Hashish is in the way it is produced. Marijuana production consists basically of dehydrating or drying the different parts of the hemp plant and crushing them to create a tobacco like substance that can be smoked or consumed. 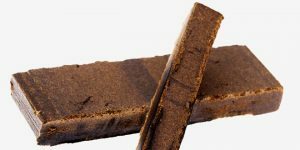 Hashish on the other hand is made from the resin of the Cannabis plant. The female flowers secrete a significant amount of resin when cut or handled. This resin is then collected to form a waxy ball or block that is dark brown or black in appearance. There are a variety of different methods that can be used to extract the maximum amount if resin from the Cannabis plant. So at the end of the day, it all comes down to concentration. Hashish has a higher concentration of THC than Marijuana and therefore has greater psychoactive effect on the brain. When most people smoke marijuana, they will either smoke joints, or they will use a bong. There are other ways that you can get marijuana into your system which are not conventional, such as using edibles, or vaping THC oil. If you already vape e-liquids, it is likely that you have a vaping device such as a MOD with a clearomizer tank. 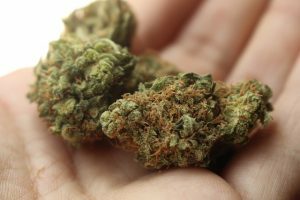 Here are a couple of ways that you might want to consider getting THC into your system that are very unique, and can provide you with a pleasant experience so you can be sure you are not sold defective drugs. Many people have had marijuana brownies before, and they are very easy to cook. There are hundreds of recipes on the Internet that you can use. There are several things that you can make including raspberry macaroons, barbecue nuts, reef jerky, and even ice cream that is very good to eat. Many people like to bake their goods and eat them, giving them a treat at the end of the day. For those that like to stick with more conventional ways of getting THC into their system are going to use vaping devices. This actually becomes very popular with people that use CBD oil in order to help with chronic pain. It’s also a great way to start healing from injuries that you have had, and some people use this as part of a cancer treatment. You can also get oil that has THC which can provide you with the same type of hit that you get when you use a bong, joint or blunt. You can also get multiple flavors and use either oil or wax which can provide you with a unique experience. There are many products on the market today where you can drink your marijuana such as products called Legal, Dixie Elixirs, and Canna Cola. You can choose from multiple flavors, made in very unique bottles that become collectibles. It really is a growing industry. For others, they prefer drinking it as a tea which can be piping hot or served cold. Many people find ways of making coffee drinks so you can benefit from not only the THC but the caffeine in the coffee. In the same way that you can use different types of cream that have analgesics or even opiates, you can do the same with THC. There are many creams and balms that are infused with cannabis and can be part of your skin care regimen. The reason that this works is the fact it goes directly into your skin through CB1 and CB2 receptors. Best of all, it’s going to be absent the typical sense of marijuana so no one will even know that your hand cream, or face cream, is helping you get this into your body. These are just a few ideas to consider if you are thinking of other ways of getting THC into your system. It’s something that is an ever-growing industry. The more it is legalized, the better off people are going to be in regard to their health and state of mind. Cannabis has been, and always will be, a beneficial product which is being recognized more every day. Try some of these unique strategies for benefiting from THC that you can either order online or pickup at your local cannabis store.